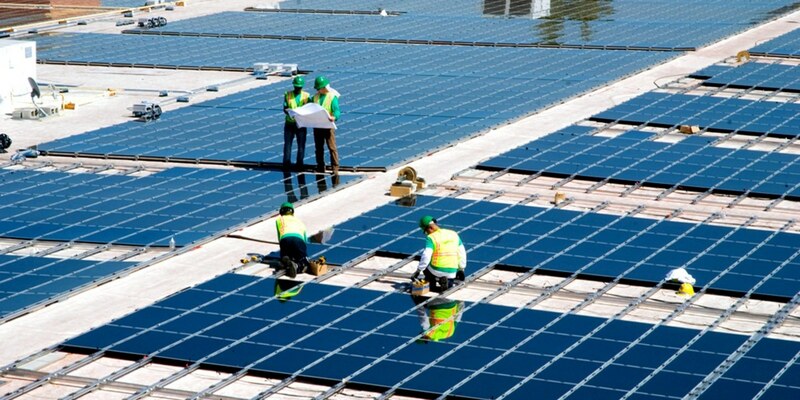 Solar energy creates more employment versus oil, coal and gas in the U.S.
We all hear the reasons to keep the polluting oil and coal in business, especially the one with: because it creates jobs. Well, not so much apparently. In an article in Forbes was stated that “solar employs more people in U.S. electricity generation than oil, coal and gas combined”. That is a big statement after all the discussions back and forth. To be more precise: “According to a new report from the U.S. Department of Energy, solar power employed 43 percent of the Electric Power Generation sector’s workforce in 2016, while fossil fuels combined accounted for just 22 percent. 5000! That is a great thing to hear and shows us that there is a chance for us to fix the mess that is created. This planet has a chance and as long as we fight for it, there will be change.